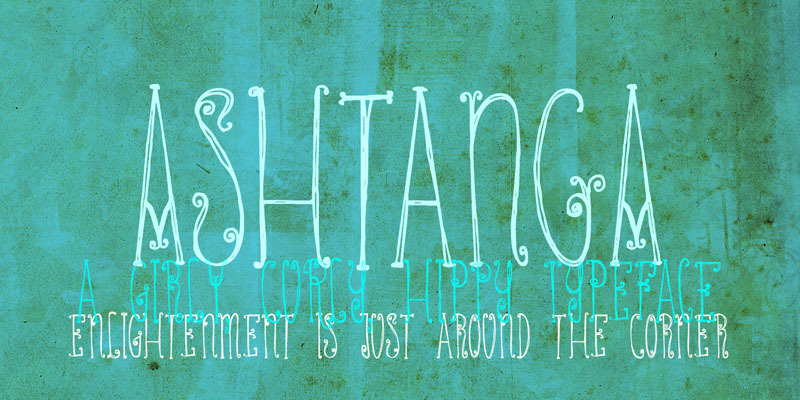 Ashtanga was named after a type of yoga. In Sanskrit it means “eight-limbed”, which I find quite appropriate, give the amount of swirls and curls. The font is ‘all-caps’, but the upper and lower case glyphs differ completely. They are, of course, fully interchangeable. Ashtanga comes with multi language support.